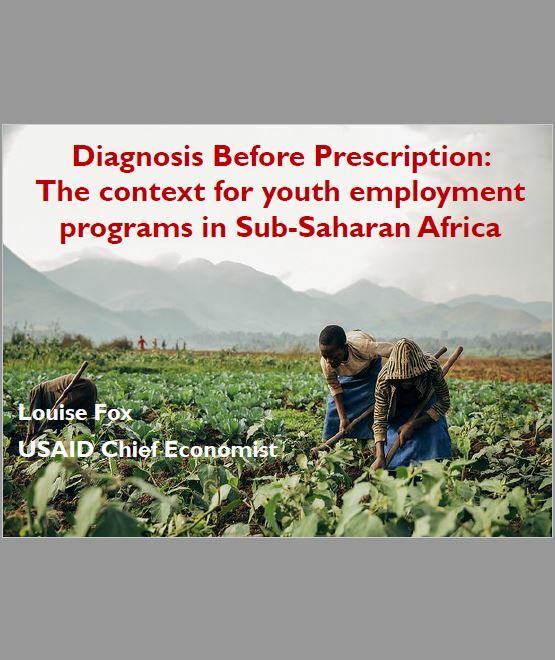 Slides of the presentation held by Louise Fox, Chief Economist at the United States Agency for International Development (USAID), at the conference ‘Boosting youth employment in Africa’ organized by INCLUDE and the Netherlands Ministry of Foreign Affairs in The Hague on 30 May 2017. Please click here for the summary and compact synthesis report. To download the full synthesis report, click here. Below you can find the summary.